1 in 300 youth have an undetected heart condition that puts them at risk for sudden cardiac arrest. While the prevailing perception is that heart disease is primarily an adult disease, there are thousands of seemingly healthy youth who suddenly and unexpectedly suffer fatal or severely debilitating consequences due to undetected heart conditions. Youth are not adequately screened for heart conditions. 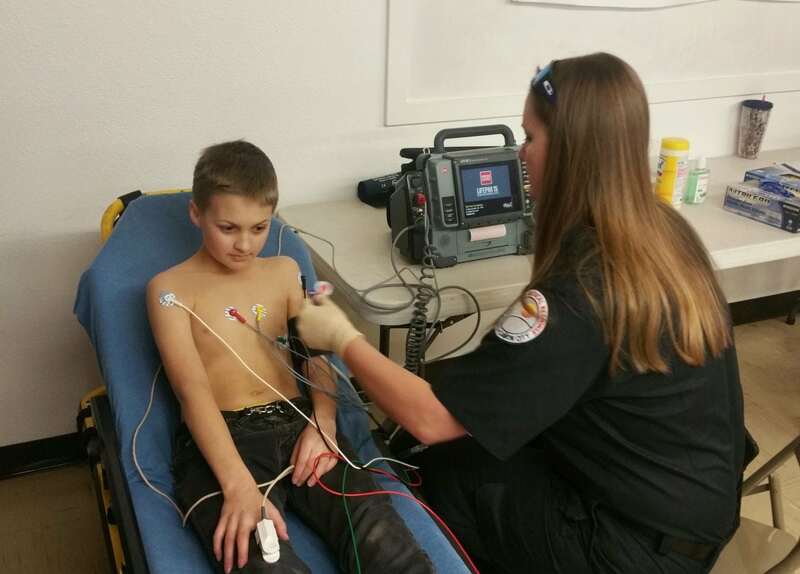 In fact, the standard approach to patient health history and physical examinations misses about 90% of youth at risk for sudden cardiac arrest (SCA). Parent Heart Watch advocates for heart screenings in youth for the early detection of risk factors and conditions associated with SCA. Because most heart conditions that can lead to SCA are not detectable with a stethoscope, a simple, noninvasive and painless test with an electrocardiogram (EKG or ECG) and echocardiogram, a comprehensive review of personal and family heart history and the proper assessment and follow-up of warning signs and symptoms are the best tools for primary prevention. Approximately 2% of youth that are heart-screened are diagnosed with a heart abnormality or concern, while 1% are diagnosed with a life-threatening heart condition. As children grow their hearts change and repeat evaluations are recommended through age 25. Most youth who suffer SCA have an undetected heart condition. A thorough family history and physical examination that includes an electrocardiogram (ECG or EKG) as a baseline test can help detect approximately 60% of the heart conditions that can lead to SCA. Further screening with an echocardiogram can often detect the balance of conditions beyond the scope of an EKG. Approximately 2% of youth that are heart-screened are diagnosed with a heart abnormality or concern; 1% are diagnosed with a life-threatening heart condition such as Hypertrophic Cardiomyopathy (HCM), Long QT Syndrome (LQTS), Wolff-Parkinson-White Syndrome (WPW) or Arrhythmogenic Right Ventricular Dysplasia (ARVD). See a comprehensive list of heart conditions that put youth at risk for SCA. Frequently, the warning signs and symptoms in youth go undetected or are misdiagnosed, with fainting being the #1 sign of a potential heart condition. Those who work and live with youth must be aware of these signs and symptoms. If any exist, they should be reported to the youth’s physician immediately, with community caregivers and coaches also advised of the condition. Medical professionals must be more acutely aware of the warning signs and symptoms of a heart condition, utilize the Pre-participation Physical Evaluation Form, the Pediatric Cardiac Risk Assessment Form, and, when symptomatic, immediately refer youth to a cardiologist for further evaluation. Parents are advised to use the evaluation form to assess their own child and bring to your child’s doctor for consultation, either during a well-child check-up or pre-participation sports physical, or sooner if warning signs, symptoms or family risk factors are present. For more information, take a look at Parent Heart Watch’s Position Statement on Heart Screenings, and a statement on AEDs and Emergency Planning. Below are some of the most common heart screening tests your doctor can order, or you can find them through a local heart screening program. An ECG is a simple, painless, noninvasive test that measures and records the electrical activity of the heart. With each heartbeat, the heart’s natural pacemaker sends an electrical impulse that travels along a nerve pathway and stimulates the heart muscles to contract, pumping blood through the heart’s chambers and into the blood vessels. When the heart muscles relax, the heart refills with blood and the process starts again. The ECG records this activity on graph paper via wires that are connected to electrode patches with slightly sticky backings and placed on the chest, arms, and legs. The heart’s activity is recorded in up and down patterns labeled consecutively as P waves, QRS complexes, T waves and U waves. Irregularities in the patterns may indicate a problem with the heart. An ECHO uses high frequency sound waves to display the structure, function and blood flow of the heart on a monitor screen without the use of x-ray. A colorless gel is applied to the skin on the area of the chest where the heart is located. A transducer, a small microphone-like device, is placed on top of the gel and moved across the chest to obtain images that the cardiologist wants to see. A computer transfers the information from the transducer to display an image of the heart on the monitor. The echocardiogram can detect structural abnormalities of the heart and show valve shape, motion, narrowing or leaking. A Holter Monitor is a portable, battery-operated ECG machine that is worn in a shoulder harness around the neck, in a pocket, or on a belt. A Holter Monitor can help detect problems that may not be observed on a resting ECG. As with an ECG, there are electrodes attached to the chest. The heartbeats are recorded over a 24 to 48 hour period. Patients are usually told to keep a journal of their activities during the day. If a child is diagnosed with a heart condition, there are many precautionary steps that can be taken to prevent the likely outcome of SCA including lifestyle modifications, medication, surgical treatments, and implanting a pacemaker and/or implantable cardioverter defibrillator (ICD).